After a lengthy day out of the house, there is nothing like coming home. A person's home is supposed to be a place of comfort, but it is hard to relax when terrible smells from your kitchen sink fill your space. Also, take a moment to consider inviting guests into a home that has a foul and unpleasant smell. You can buy expensive candles and air fresheners to mask smells, or you can call a plumber in NYC to help fix the cause of the problem. 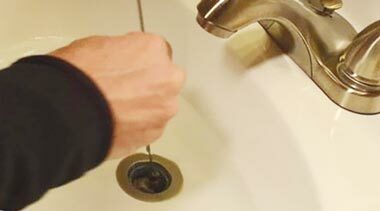 Although you might not see any food or gunk in the basin of your sink that does not mean that your pipes are clear. It is possible for debris to get caught up in drainpipes (caught on grease, fat, or oil). Mustiness can be caused as a result of mold growing in sinks and pipes. Sometimes, a sink can leak water into damp and dark places, which is a breeding ground for mold. Smelling sulfur (rotten egg smell) is one of the worst smells that can come from a bathroom sink. All drains are built with traps, which are designed to help vent gases to prevent bad smells. If a bathroom is not frequently used, the water in the trap can evaporate, which will cause gases to escape and make a space smell. Call plumbers in NYC when you smell this foul scent. Your home does not have to smell because of drains and sinks. Calling a plumber in NYC can help to keep the air in your apartment fresh. Do not hesitate, and reach out for help today!